An attacker attaches places importance on the element of surprise. Only a victim who is helpless is a "good" victim. And the closer you get to a potential victim, the better. And the safer for the attacker. Because once you have grabbed a victim, it is often too late for a successful defense. 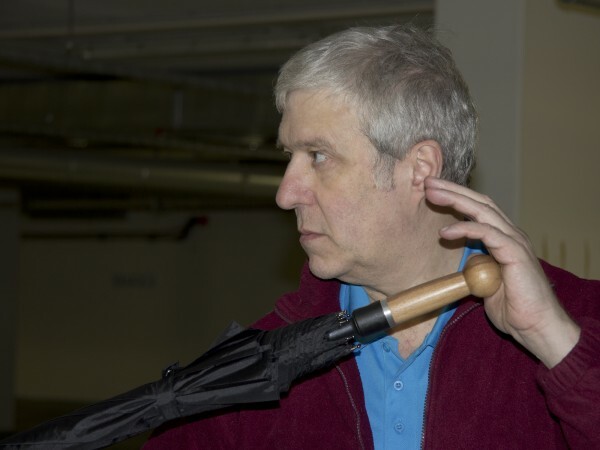 However, if you have someone in front of you who carries a stick or umbrella with them, there is a potential for someone who carries such an item, that they will use it to protect themselves. Therefore, the mere existence of such an item is a potential problem for an attacker. Now if you attack - try to grab the victim - and the supposed victim keeps the stick or umbrella in a "professional" way - meaning it looks like the wearer of the umbrella / pole is able to handle it effectively - the alleged "easy victim" suddenly becomes an opponent, who could possibly become dangerous themself. And a violent offender who is out to make a quick, brief attack will absolutely avoid such a situation and seek someone who does not seem so defensive and confident.